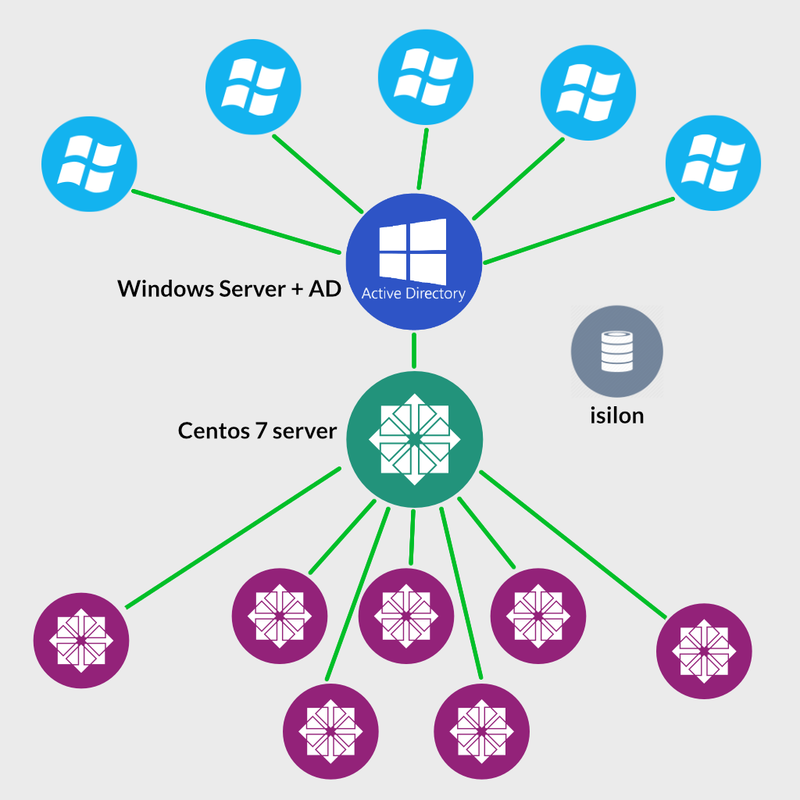 Hello, I'm looking for proper guidance on how to join centos 7 clients & centos 7 server to windows active directory ? I want to use user authentication & groups data from active directory on centos system. please see below image and tell me do i need to join only centos server to active directory or every centos clients also needs to join separately. ?? This is what i tried, And got few question. Do i really need to join both windbind & sssd way ?? how to remove suffix from userID (user.name instead of user.name@example.com) ? how to use active directory groups in centos ?? do i need to remap ?? Now tell me how to setup pam mkhomedir to make homedir on custom path over server for roaming profiles ?